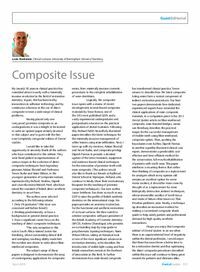 Abstract: My (nearly) 30 years in clinical practice has coincided almost exactly with a ‘minimally invasive revolution’ in the field of restorative dentistry. In part, this has been led by innovations in adhesive technology and by continuous advances in the use of direct composite to treat a wide range of clinical problems. Author notes: Louis Mackenzie, Clinical Lecturer, University of Birmingham School of Dentistry.